Click here to see more of what Thompson Grain Service is doing. Your grain. Our systems. Exceptional outcomes. 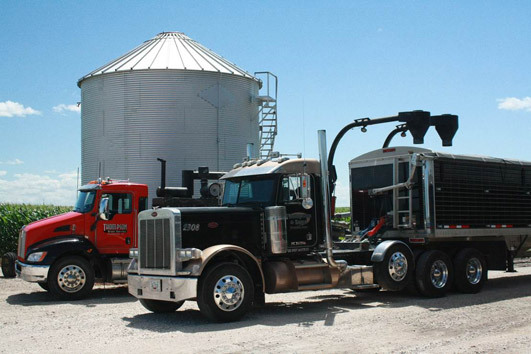 TGS provides fast, efficient and safe grain transportation solutions for high-volume operations — seed companies, elevators and ethanol plants. And we take the same approach for individual farms and smaller jobs, too. 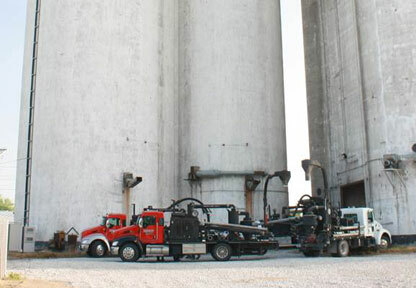 We provide grain vaccing and transportation, we service all around the United States and we follow OSHA safety standards. TGS moves your biggest loads. Fast. Run your entire bin through our grain vacs and maximize efficiencies in speed, safety and manpower. There's no faster way to move your grain — and no better way to protect the integrity of your seed. So what else can Thompson Grain Service do for you? 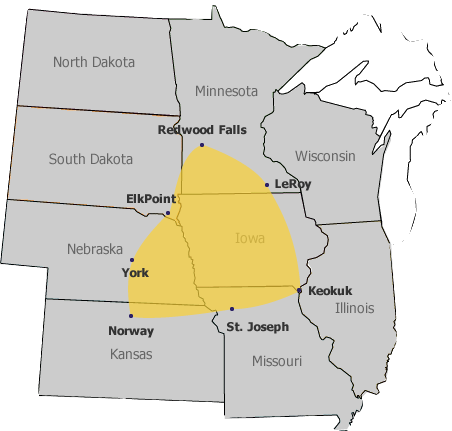 Wherever grain is sold and stored in the U.S.
We service customers all around the United States including: Iowa, Minnesota, Nebraska, South Dakota and many more. "Getting the bottom of bins clean out is stressful. TGS makes easy work out of a stressful situation. They are easy to work with, can move large volumes in a day, and have the knowledge and equipment to get the job done. 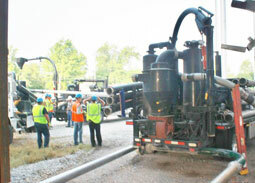 They are a class act – friendly, cooperative, great equipment and they get the job done." "TGS comes in with good, maintained equipment and it's always clean. If you bring in TGS, you better be ready for them. There will not be equipment breakdowns. They are fast and efficient. They leave behind a job well done. You can see they have pride in their business." "We had truck break a spout from a 250,000 bushel bin and corn spilled out on the highway. I called TGS to see if they could do anything. They were there within an hour and started clean up. They are very prompt, work fast and provide good service." Visit our careers page and fill out our application. Copyright © . Thompson Grain Service. All Rights Reserved.